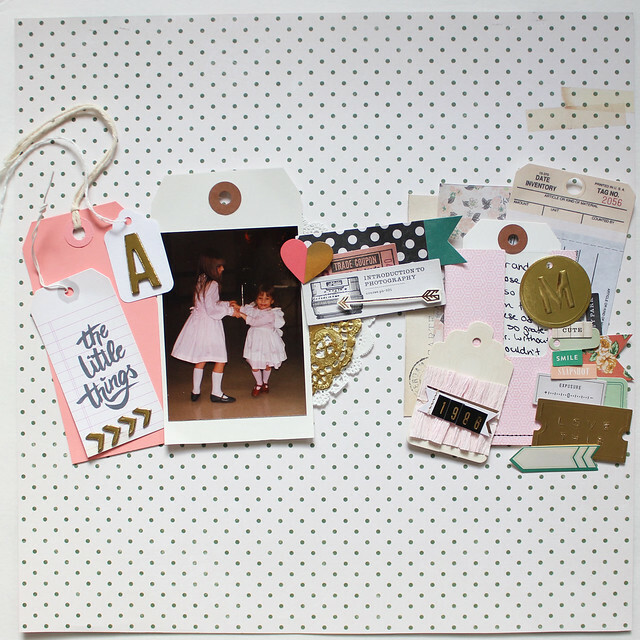 This is the layout I made for last Sunday's sketch on the Studio Calico blog. I especially loved this sketch because of all the tags. 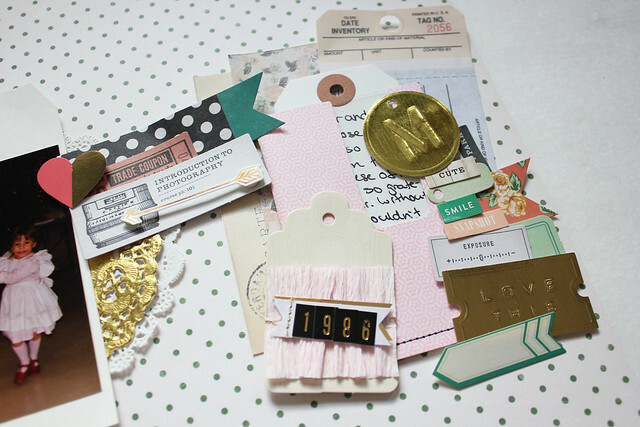 I just got the layered tags from both Maggie Holmes' and Crate Paper's new lines and I was dying to use them. This sketch was the perfect excuse to show a bunch of them off. I love layered bits so much. 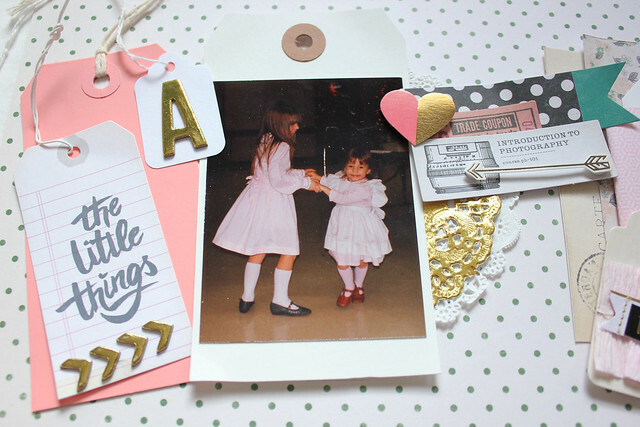 And that pink ruffled crepe tag is just perfection. 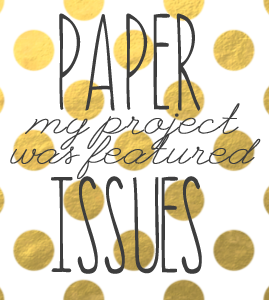 It was very hard for me to use something other than white cardstock for my background. I really love how this small polka dot looks though. it's a subtle enough of a pattern that it wasn't too far of a leap from plain white.